Kevin Carter ’10 has been hunting since he was seven years old, when his father took him on his first hunting trip after his family moved to Conway from Fort Smith. Carter’s family bought a cabin and some land down in southeast Arkansas, outside of Clarendon, after accepting an invitation to go hunting with a family friend. Arriving to work many days well before 7:30 a.m., President Houston Davis leisurely walks from the President’s Home across the street to his office in Wingo Hall with a backpack casually tossed across his right shoulder. The UCA Speech-Language Hearing Center has been serving the community and surrounding areas for more than 40 years. Individuals of all ages with a variety of communication needs can receive a comprehensive speech and language evaluation as well as therapy services. UCA is home to approximately 700 student veterans, and David Williams ’12, Veteran Service coordinator and chair of the Veterans Day Committee, is dedicated to making sure that each of those students is taken care of during their time on campus. The Residential College program at the University of Central Arkansas consists of five living and learning communities with each having a unique theme and character: Health Promotion and Wellness (HPaw) in Baridon Hall; Educating for Diversity and Global Engagement (EDGE) in Hughes Hall; The Stars in Short/Denney Hall; Science, Technology, Engineering and Mathematics (STEM) in Arkansas Hall; and Business Residential College (Biz) in Bear Hall. 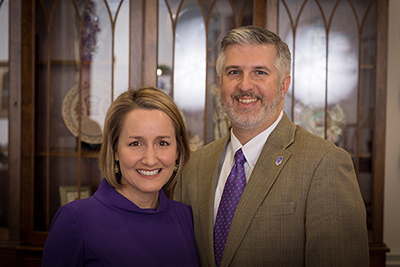 When Tab Townsell ’84 graduated from the University of Central Arkansas, he had several lofty ideas for his life. Having served as president of the Student Government Association and in several leadership roles on campus, he knew he wanted to run for public office. Bicycles are the most popular product checked out from Campus Outdoor Pursuits and Activities (COPA) in the Health Physical Education Recreation Center, according to Anthony Fillippino, assistant director of COPA at the University of Central Arkansas, and each bicycle has a unique back story. Was it Mac’s Place? What about Hamil’s Corner? No, it was Terry’s Corner or Short’s Corner. What about Papa John’s Corner? 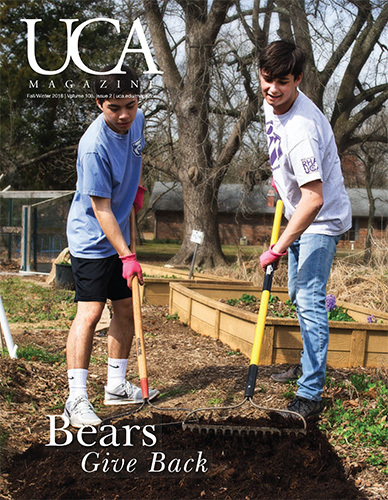 Alumni have affectionately referred to the area around Donaghey Avenue and Bruce Street in many ways, depending on which decade they spent at the University of Central Arkansas. University of Central Arkansas student-athletes began utilizing the brand new Michael and Maria Norvell Nutrition Center in the fall of 2016 and are already reaping the benefits.